Ever want to display menus in your Oracle JDeveloper 11g ADF Faces rich client application so users can easily change skins or other settings on the fly? Perhaps you don’t want to expose these menus to your end users but at least want some easy way for you to test these different options while you develop or debug your application. This post will show you how to get it done similar to what you see on the hosted ADF Faces Rich Client demos. A skin is an Apache MyFaces Trinidad construct that is also used in ADF Faces. A skin is very much like a standard CSS style sheet that you use to define styles used by an HTML page. Skins abstract implementation details in the same manner that components in JavaServer Faces (JSF) abstract you from underlying HTML implementation details. The syntax of a skin follows that of the CSS 3 spec. Skins can extend other skins, have blocks for user agent/browser-specific definitions, accessibility-specific definitions, and other properties that would normally not be available in a CSS file. See the configuration documentation for more details on this file. I am using separate managed beans here primarily for organization but you could just use a single bean. The skin-family specifies what the active skin is. The accessibility-mode specifies whether the page should be targeted for a screen reader. The accessibility-profile specifies whether high contrast colors and whether large fonts should be targeted for the page. The animation-enabled specifies whether the user will see animations in components that provide them. Some af:menuBar (most likely one that exists in your application’s page template) will need some af:menu components. In this example, we have one menu that lists all of the skins that we want to expose and another menu that lists the settings. We could have hard-coded the values we were after in the configuration file but then you’d have to restart your application when you make changes. Since we want these settings to be dynamic, we use EL to point these values to managed beans. These same beans are used to handle the menu item actions as well as convey their selected states. // Null out our old cached copy. // It will be re-created the next time that getAccessibilityProfile() is called. AccessibilityProfile.ColorContrast colorContrast = isHighContrast() ? AccessibilityProfile.FontSize fontSize = isLargeFonts() ? // locking on this variable. If you wanted to take this a step further (and do not have built-in, predefined user-specific settings after a user sign in screen), you should provide an “Accessibility” link. This link should be exposed as early as possible in your page so that screen reader users can easily identify that you are providing them options. This page should then provide a reduced user interface for simple settings configuration. the life of one request). its initial values as well as apply back any changes. * Tests whether the user prefers screen reader-optimized content. * Tests whether the user prefers high contrast-optimized content. * Tests whether the user prefers content optimized for large fonts. * Stores the screen reader preference. * Stores the high contrast preference. * Stores the large fonts preference. 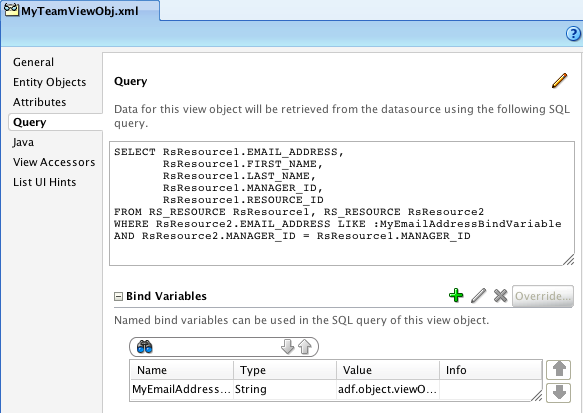 * Setter for injecting the AccessibilityPreferences managed-property. // values to the user's current preferences. 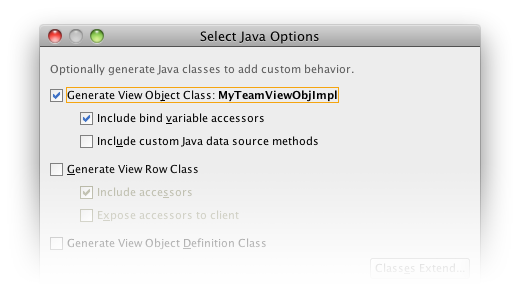 // access to this object in order to commit the user's new preferences. * Handles OK button clicks. // Store the user's new preferences, making them active. // Specify where to navigate to next. * Handles cancel button clicks. // Don't save any new values - just return. 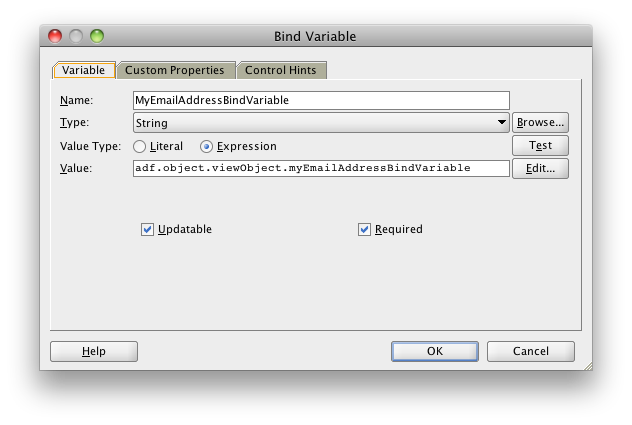 This entry was posted in java, jdeveloper, jsf and tagged accessibility, adf, jdeveloper, settings, skin.